MONTRÉAL (June 13, 2017) – TSN and the Montreal Canadiens announced today a comprehensive new regional broadcast rights agreement making TSN the official English-language broadcaster of the team beginning with the 2017-18 season. The new agreement sees TSN air a slate of games in the Montreal Canadiens’ designated broadcast region, which spans Eastern and Northern Ontario, Québec, and Atlantic Canada. RDS continues to be the French-language home for Montreal Canadiens games. TSN 690 in Montréal also renewed its agreement with the Canadiens, maintaining full radio broadcast rights and further extending the station’s position as the team’s official English-language radio voice. TSN 690 provides exclusive live broadcast coverage of all pre-season, regular season, and playoff games for its listeners. “The Montreal Canadiens are an iconic franchise with a very passionate fan base, and TSN 690 is proud to continue to provide comprehensive live coverage of all their games, as well as extensive pre-and post-game coverage and analysis,” said Chris Bury, Program Director, TSN Radio 690 in Montréal. Further details, including channel placements and broadcast teams for TSN’s coverage of the Montreal Canadiens will be announced in the coming months. Montréalers can set their dial to AM 690, listen online at TSN.ca/Montreal, and tune in with the TSN GO and iHeartRadio mobile apps for live game broadcasts, including extensive pre-and post-game coverage. 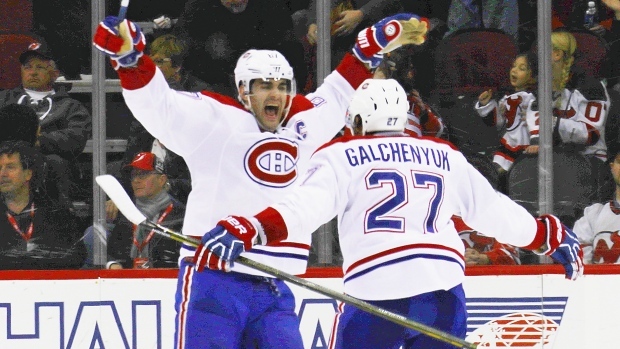 TSN 690 also provides in-depth coverage of the Canadiens with HABS BREAKFAST at 8:05 a.m. ET during THE MORNING SHOW with Conor McKenna, Shaun Starr, and Rick Moffat, HABS LUNCH, a daily show hosted by Tony Marinaro and Chris Nilan weekdays at 12 noon, and analysis from an all-star roster of Hockey Insiders and experts, including Bob McKenzie, Darren Dreger, Francois Gagnon, and Pierre McGuire.